Welcome to the Buses section of ErkTrans. The photos have been divided into states with the exception of Olympic & Paralympic buses which can be seen here. 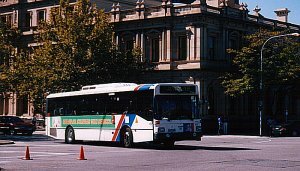 NSW Private Buses and State Transit Buses have also been split into separate sections. Please note that this site is not meant to be over technical in relation to the types of buses etc. My main interest in photographing buses is for things such as their operating environment and colour schemes and not the mechanical makeup of the bus. 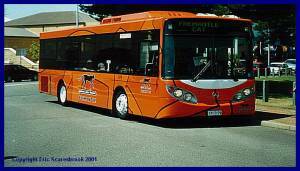 Bus information in this section was mainly obtained from Bus Australia. 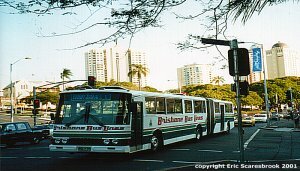 Buses and bus companies are presented as they were photographed. There is change that has occurred since some photos were taken. 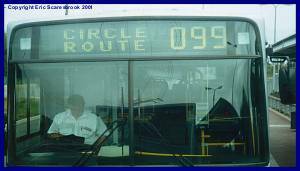 Some categories of buses also have photos from the Sydney 2000 Olympics/Paralympics as indicated. This site is a section of ErkTrans and is © Erk Communications 2001. This site uses thumbnails extensively and all photos/opinions are personal unless stated. Best viewed in 1024 X 768 resolution or greater.